The Taylor Acoustic team will be in Ulm, Germany next weekend to have our new Concert 120 and Classic 90 tested by the Hifi Ifas! And we would be happy to see you again after High End Munich 2018! 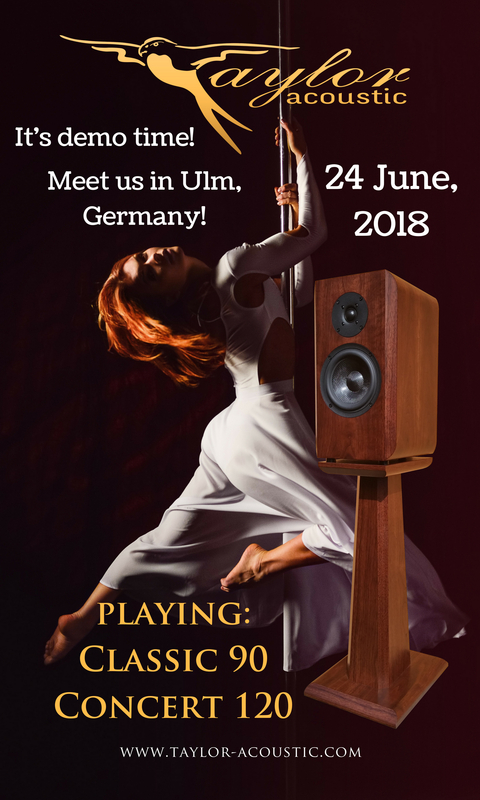 On 24 June, 2018 you can schedule a private appointment with us where you can listen to our new loudspeakers at Leonardo Royal Hotel, Ulm. If you are interested, please send us a message to save your place and collect your favourite test CD’s to test us 🙂 Hopefully see you soon! !